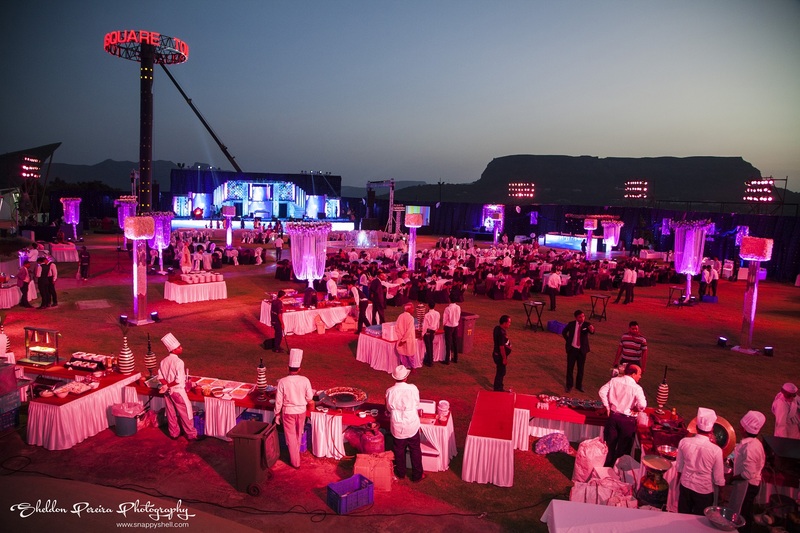 Be it a big fat Indian wedding or intimate social event gathering, planning a wedding is not an easy task. Couples who have it all thought and planned out for how big or small they want their wedding celebration to be, somehow have most of their planning process going their way. Kudos to you master planners! 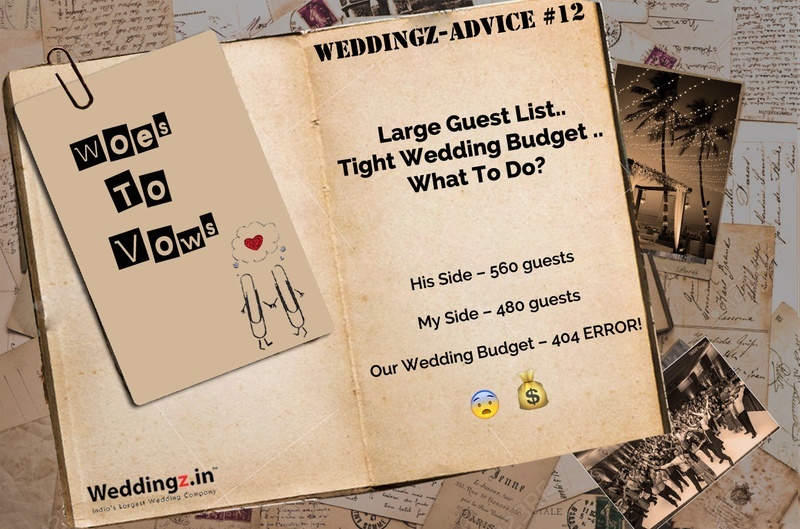 For couples who’re finding it too hard to strike off names from their guest list and now have an end result of a large guest list, but a very tight wedding budget, the planning is nothing short of a living a nightmare. So, today our advice involves tips and hacks on how you can plan your wedding to make it look like a million bucks without going over your wedding budget. Big Wedding + Tight Wedding Budget = You Can Do It! The location of your wedding and what date and time of the year you select for your festivities can be a major deciding factor on how much the arrangement will affect your budget and how many guests can make it to your wedding celebration. For instance if you decide to keep your wedding on off seasons these will considerable cut off your vendor charges. If you choose a location away from home, there is a possibility that half of your guests won’t make it to the wedding. Believe as when we say that a destination wedding will actually be a life-saver. Read this to know more. What’s Your Wedding Setting Going to Be Like? Your wedding setting can further determine how well you can manage to accommodate your large guests into your tight wedding budget. It’s advisable that you host all you wedding festivities at one venue, this way you can bag in additional discounts on the venue’s facilities and amenities. Also, hosting your wedding ceremony and reception at the same venue cuts down on your transportation cost. It’s not mandatory to invite all your guests to all the events or even the reception for that matter. You can divide your large guest list into parts of the wedding festivities you wish to host and then depending on the rank of importance divide your guest list for each functions and give out invites only for those functions you want them to attend. This will save your cost on printing, as well as keep everyone happy to receive your invitation. While some guests may not realize at first that they have not been invited for all but one or two events, now is the time to keep your excuses ready. It’s best to communicate with them while giving the invite or later on whenever convenient that you have wished to keep all your festivities a small event with all your guests making it to some event or the other. Try out a brunch style pre-wedding celebration or just a sassy cocktail menu for your reception. You need not choose a full-spread menu or arrange for dinner. Wholesome snacks or setting up quick chat stalls too can cut down your catering cost to a greater extent. If you plan to serve alcohol within your tight wedding budget, then opt for signature drinks or keep a limited stock bar with selective drinks available. Lastly, if you want to have a classic wedding on a budget by hear these 3 alphabets DIY, which is do-it-yourself. From invites, decorations to favours, get your talented bridal together and create all of these at home. For some great ideas DIY decoration, catering, drinks, photo booth ideas browse our other blog articles.